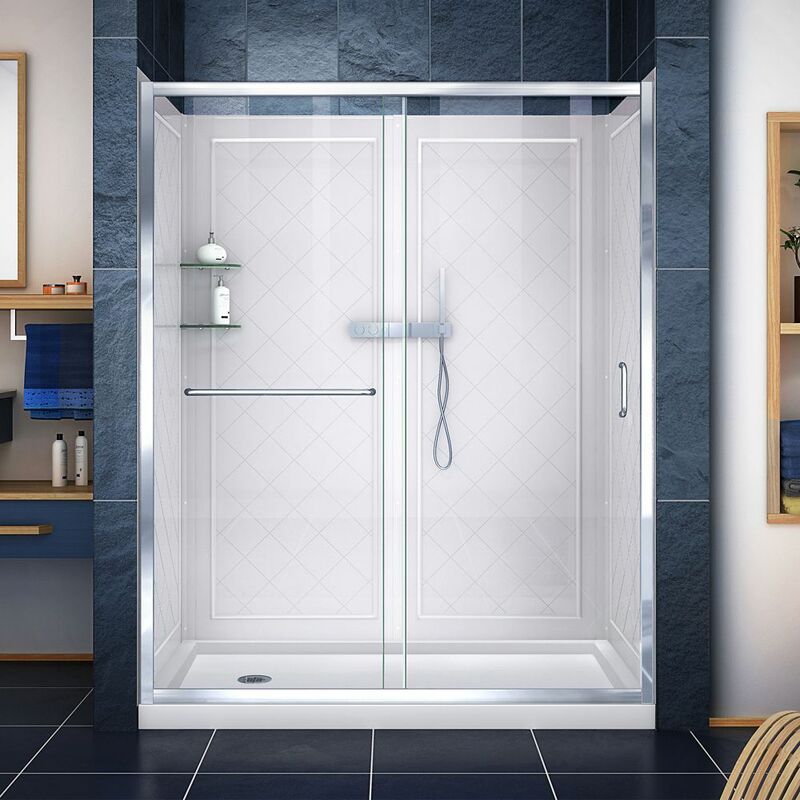 Infinity-Z 36-inch x 60-inch x 76.75-inch Framed Sliding Shower Door in Chrome with Left Drain Base and Back Walls Kit is rated 3.0 out of 5 by 2. Rated 5 out of 5 by Dwayne from Very nice shower. Very nice shower.